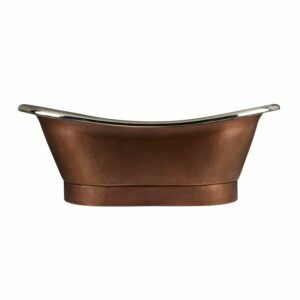 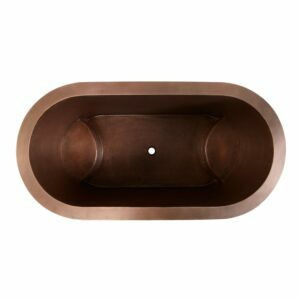 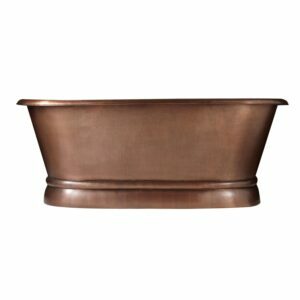 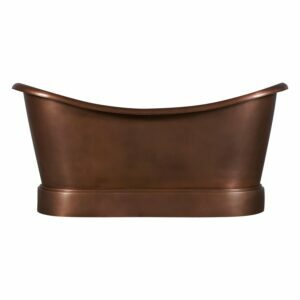 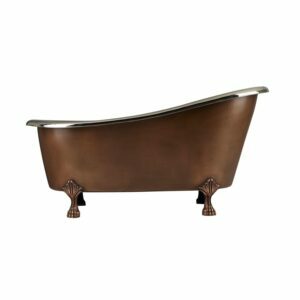 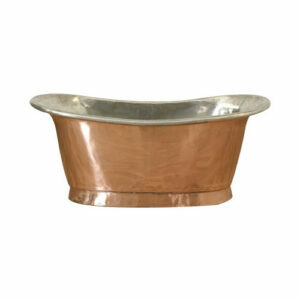 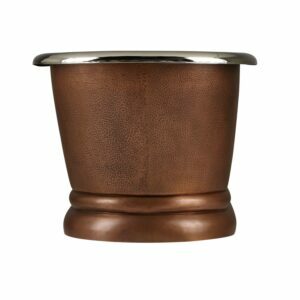 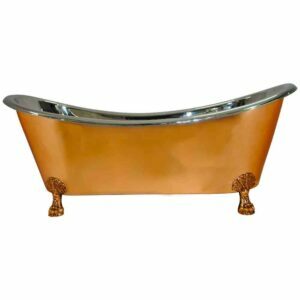 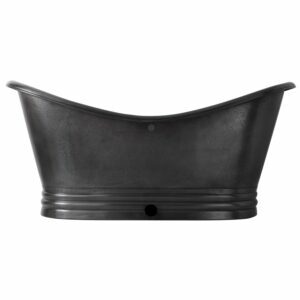 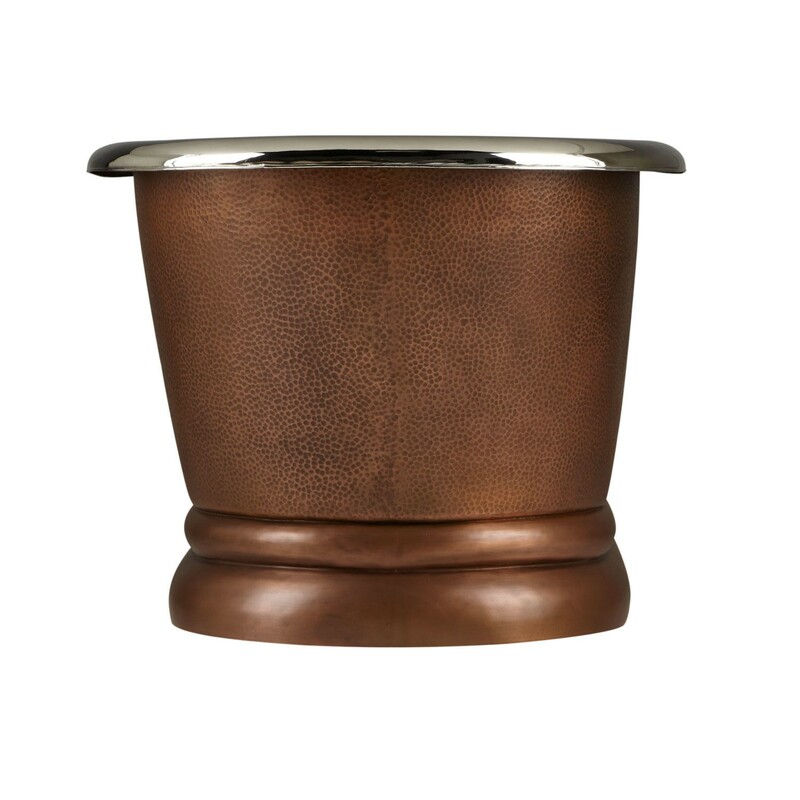 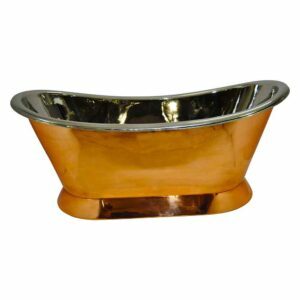 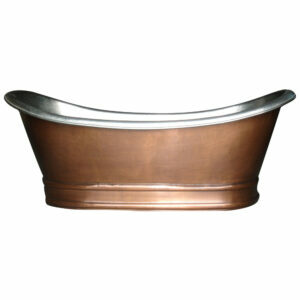 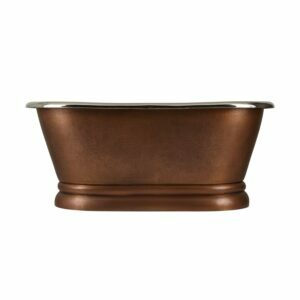 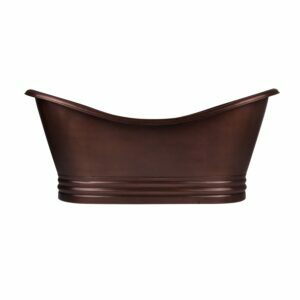 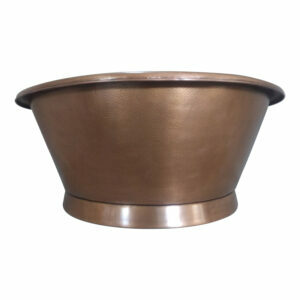 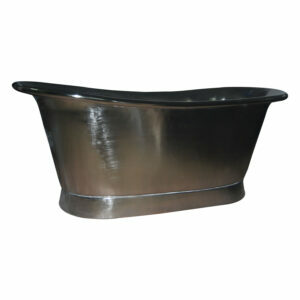 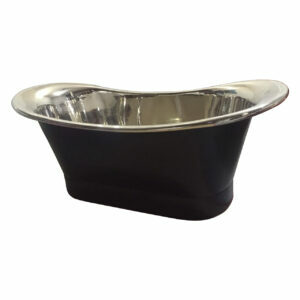 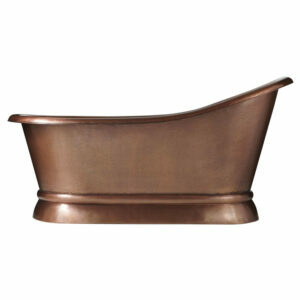 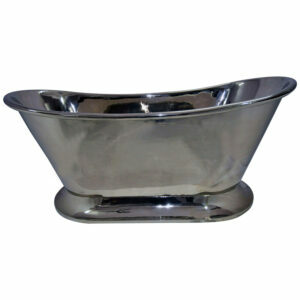 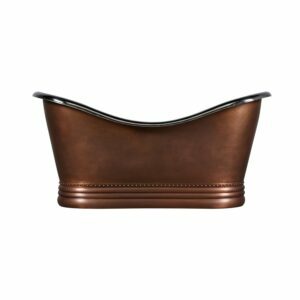 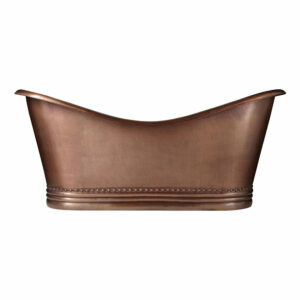 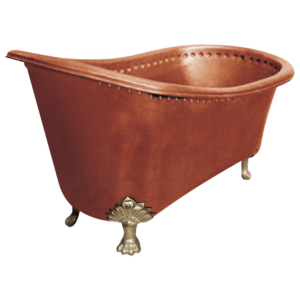 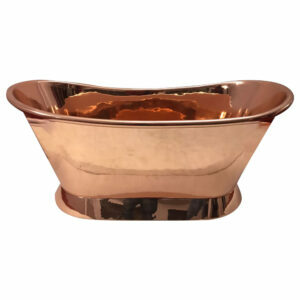 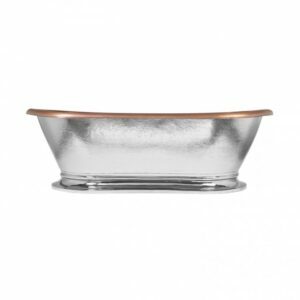 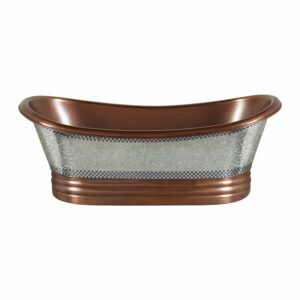 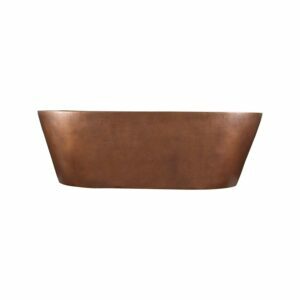 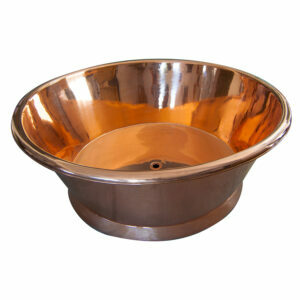 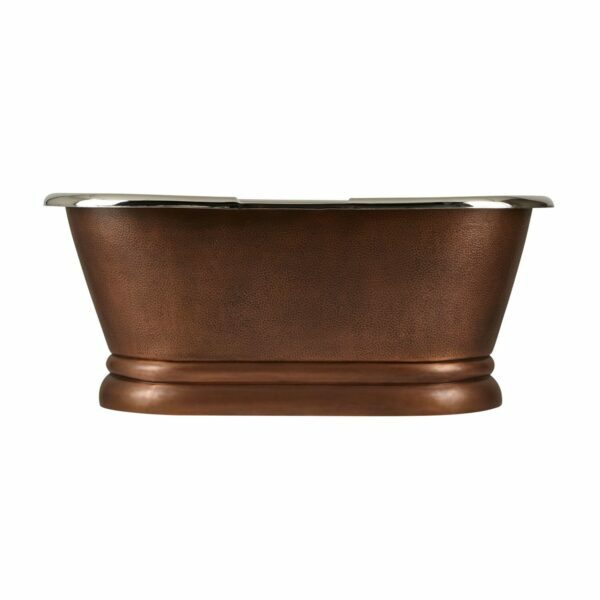 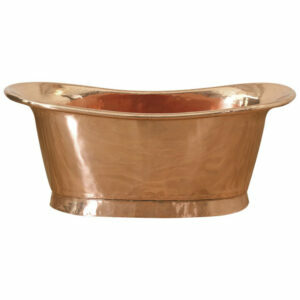 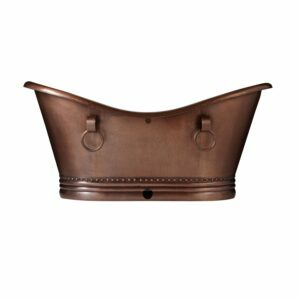 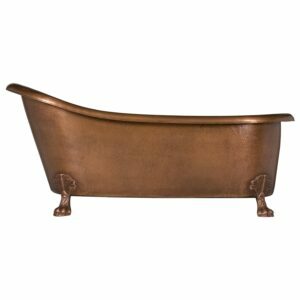 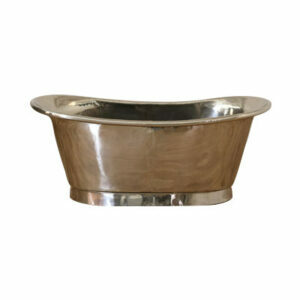 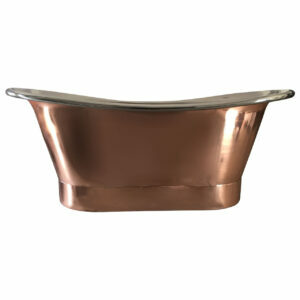 The Copper Pedestal Tub Nickel Interiors features a smooth plinth with ribbing, a rolled rim and a hammered texture. 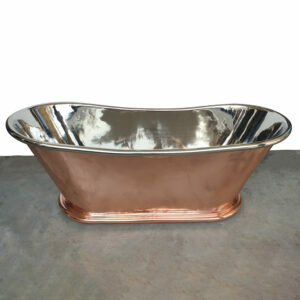 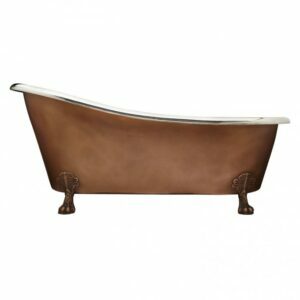 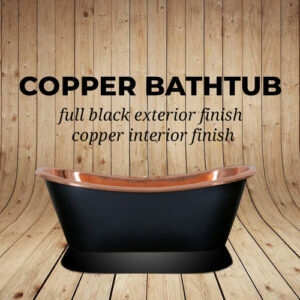 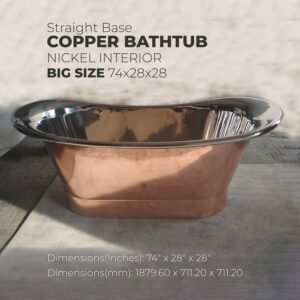 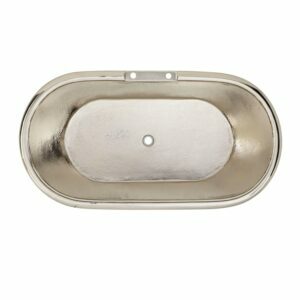 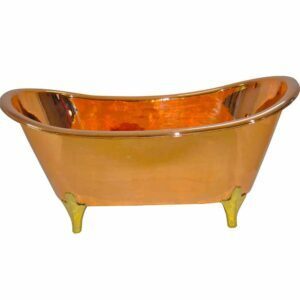 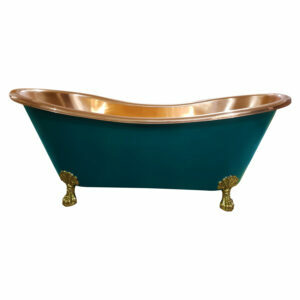 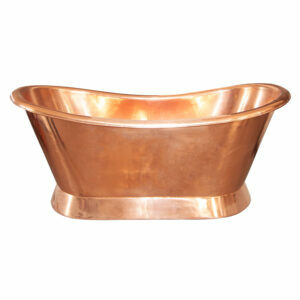 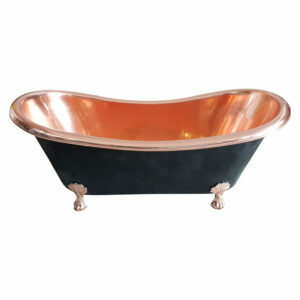 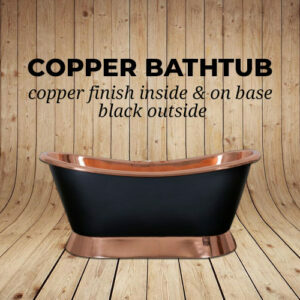 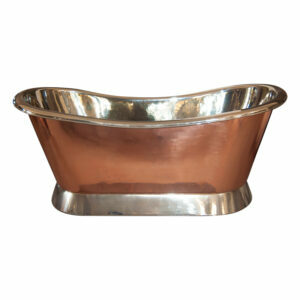 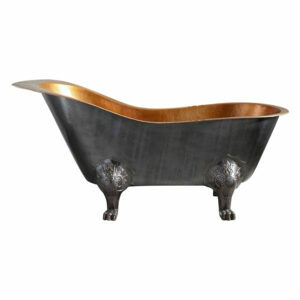 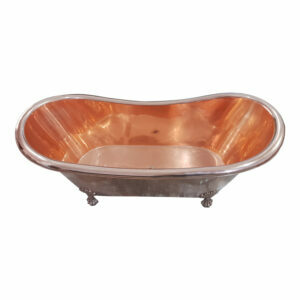 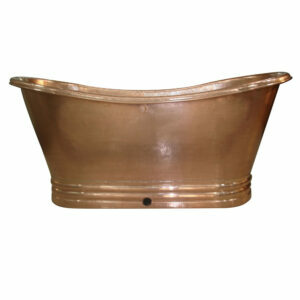 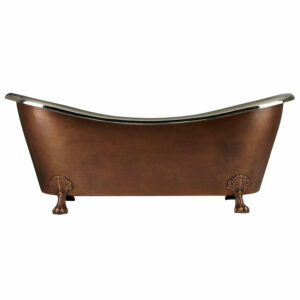 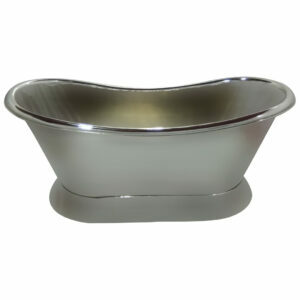 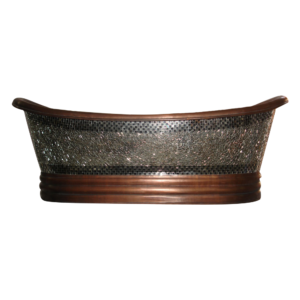 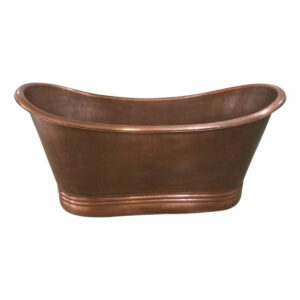 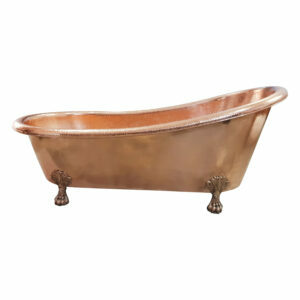 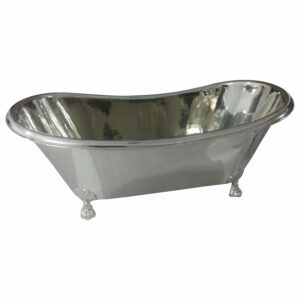 This tub’s nickel interior beautifully contrasts its antique copper exterior. 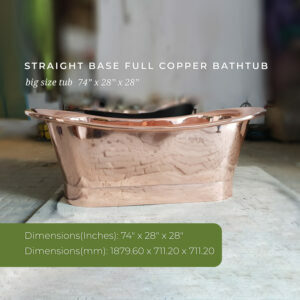 61″ Dimensions: 61″ L x 31″ W x 26″ H (± 1″). 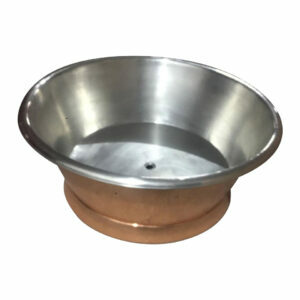 Water capacity without/with overflow: 75/65 gallons. 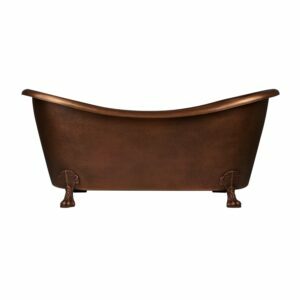 72″ Dimensions: 72″ L x 32″ W x 26″ H (± 1″). 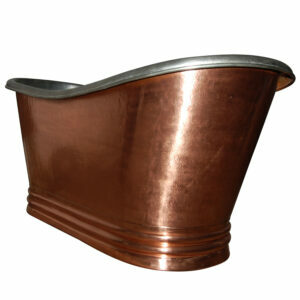 Water capacity without/with overflow: 97/80 gallons.